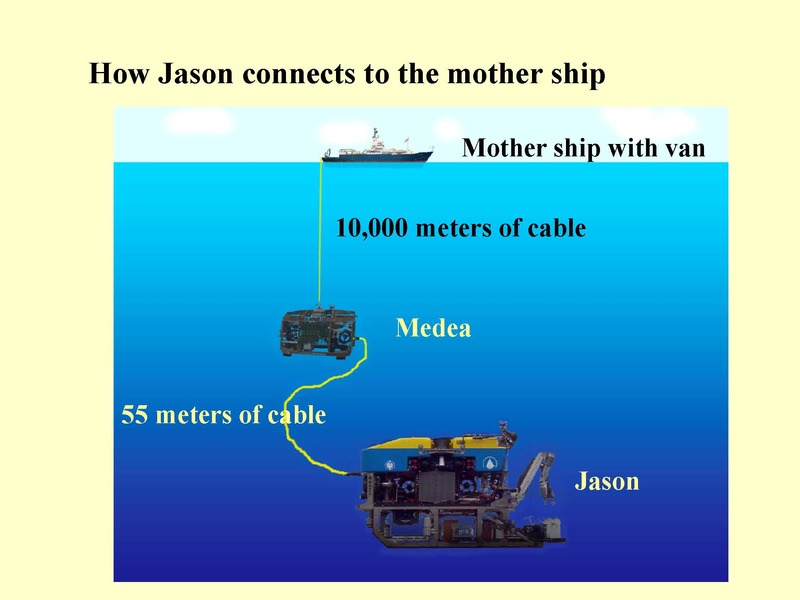 Jason is connected to Medea via a tether that contains fiber optic and power cables. Medea is connected to the mother ship via a 0.680 inch fiber optic and power line. If any of these fail, then there are problems with continuing the dive due to loss of telemetry. Tito, our excellent expedition leader, came into the lab prior to the launch at 1800 hours on October 24 and joked about the 666 number. Little did we know that dive 666 was going to be bad luck for us. The fiber optic portion of the tether between Jason and Medea failed around 0100 today October 25, so we aborted the dive after about 9 hours total. Up to this time the dive was going smoothly. Then all the monitors went dead one by one; there was no control of cameras or sensors. 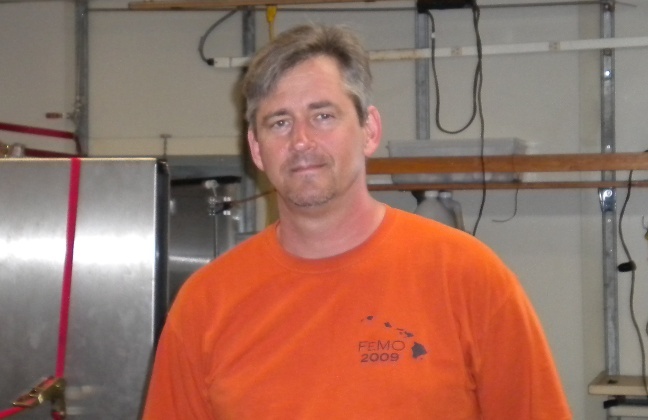 A true feeling of helplessness came over all of us in the science party as we have come to know how reliable Jason is even though we are doing deep sea research at 3000 plus meters of water depth at incredible pressures. Moreover, the 0.680 cable also started to cross itself on the winch (a level wind problem) but the winch was stopped, the cable unwound and then restarted to come on the winch drum correctly. Jason was dead in the water with no communication possibilities to the control van so the Jason group had to do a tough or semi blind recovery as we could not control Jason in the water with our propulsion system. Fortunately, the seas were very calm and the Jason was recovered on deck near 0400. The Jason group replaced the tether, did a test of the 0.680 winch to 4000 meters with a weight stack to make sure the winch was fine. They did other maintenance including replacing a thruster, and we were able to do a launch at 2000 hours today, October 25—an amazing 16-hour turnaround. We in the science party were amazed and overjoyed. What this situation taught everyone is that as amazing an asset as the Jason is, it is the personnel who are our greatest asset. The Jason group reacted admirably through a tough situation. They kept the chief scientist apprised of the situation and he could then tell the others in the science party that all would be fine. The science party can’t say enough good things about the work ethic of the Jason group. All of the students and the rest of our science party appreciate the Jason group’s can-do attitude and pleasant demeanor during duress. We are now infected with their positive can-do attitude.